The Government has allocated $17.5 million for the planning and design of the projects in the 2019-20 State Budget. In 2017, the McGowan Government was elected with a commitment to remove three level crossings on the Armadale line – Oats Street, Wharf Street and Denny Avenue. A tender for removal of the first level crossing at Denny Avenue in Kelmscott is about to be released, with construction to get underway later this year. The METRONET team has been undertaking preliminary planning for the removal of the Oats Street and Wharf Street level crossings. This work identified that the removal of all the level crossings on the inner Armadale Line, from Victoria Park to Beckenham, could be considered to get the best planning and public transport solution. The McGowan Government has used the preliminary work to successfully secure $207.5 million in Commonwealth funding for the removal of three level crossings at Oats Street in Carlisle, Welshpool Road in Welshpool and Mint Street in East Victoria Park. “The Armadale Line has been a physical barrier between suburbs like Victoria Park, Carlisle, Beckenham and Welshpool for over a century,” Premier Mark McGowan said. 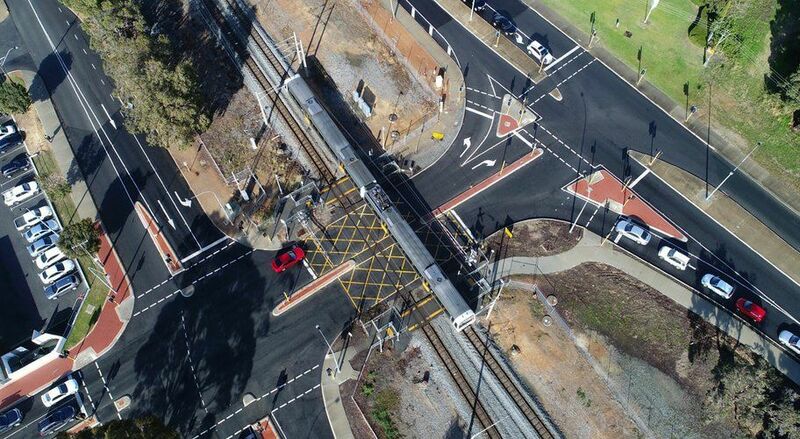 Transport Minister Rita Saffioti said the removal of all six level crossings from Victoria Park to Beckenham would be “the biggest change to the Armadale line since it was electrified in 1991″. “It encourages public transport use, while motorists no longer have to wait for several minutes during peak – or worse, consider taking a risk to beat the boom gates,” she said. “(The project) also reflects the fact that use of the Armadale line is set to increase, with the Thornlie-Cockburn Link and Byford extension.